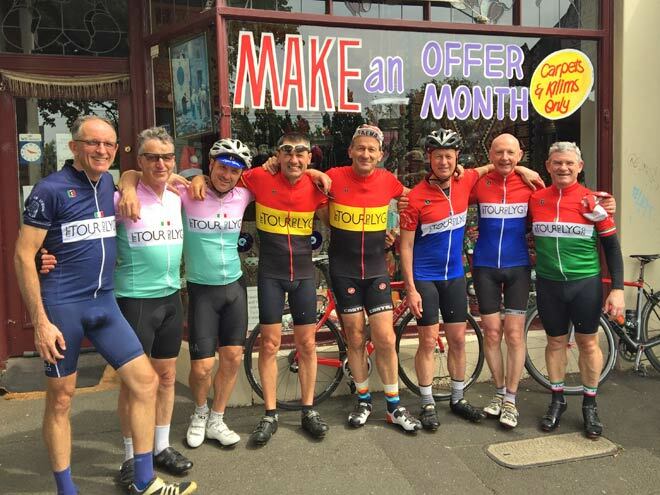 It all started 13 years ago back in 2004, with a bunch of dads from North Carlton who had their kids in the local North Carlton Primary School in Lee Street. 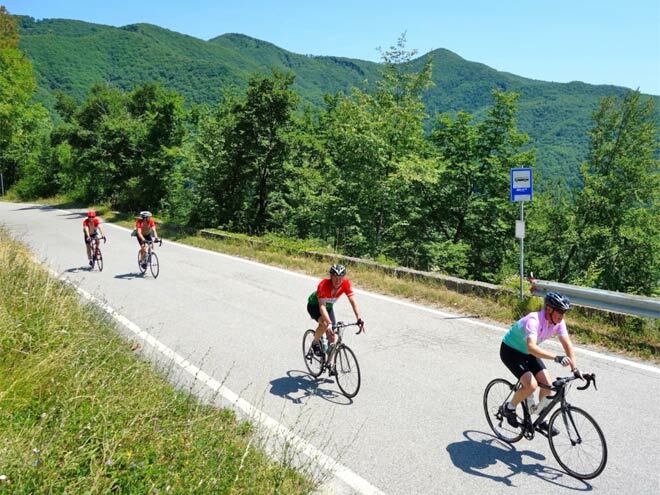 They got together and decided to do some exercise as a group, so they started riding. 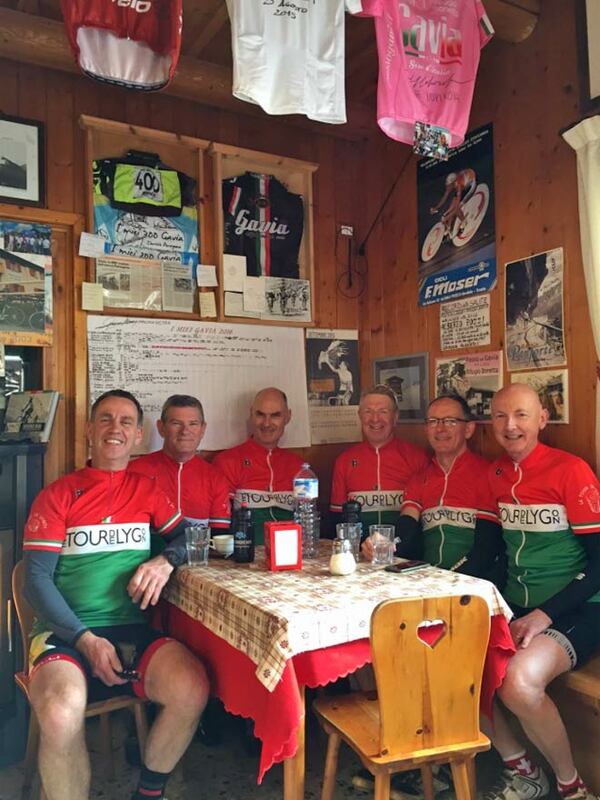 These included Alan Contini, Steve Hicks, Jim Houghton (Steve suggested at the end of his Saturday night party to join their Sunday ride in which Jim replied ‘that sounds better than swimming’), John Howarth, Howard Draper (John and Howard had previously rode the 2003 Around The Bay together), Bob Dempster, Ross Heddich, Don Phillips, Graeme Beer and Ian Hyland (Graeme, John, Howard and Don’s daughters were in the same basketball team) but it quickly grew past the original neighbourhood of North Carlton including Amess St, Lygon St, Drummond and Rathdowne St with members from Hawthorn and the eastern suburbs. Sandro Biscaro joined TdL at a later stage, and through one of the dads he met while the kids were playing basketball told Sandro about the group. 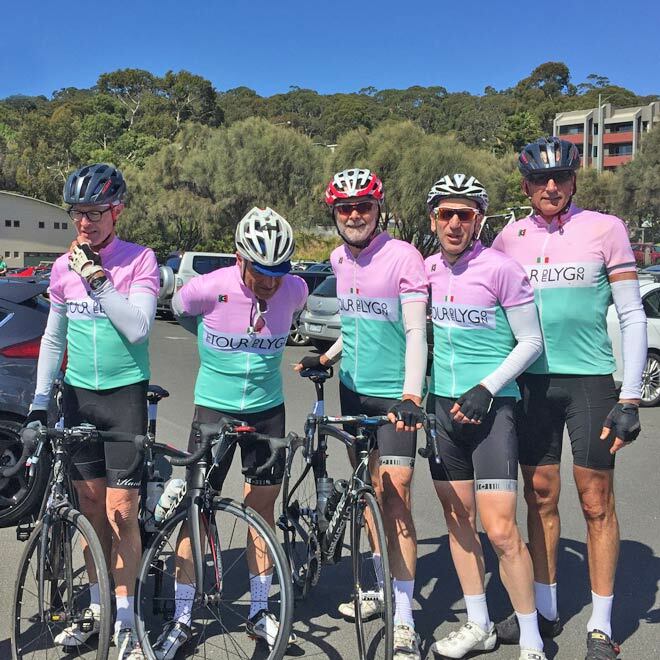 A few years later Sandro's put some ideas forward to his friend who was a graphic designer about a kit and the name Tour de Lygon came through this process of identifying the places they stopped for coffee. It evolved from the connection to Lygon St be it where they lived or enjoyed a coffee. 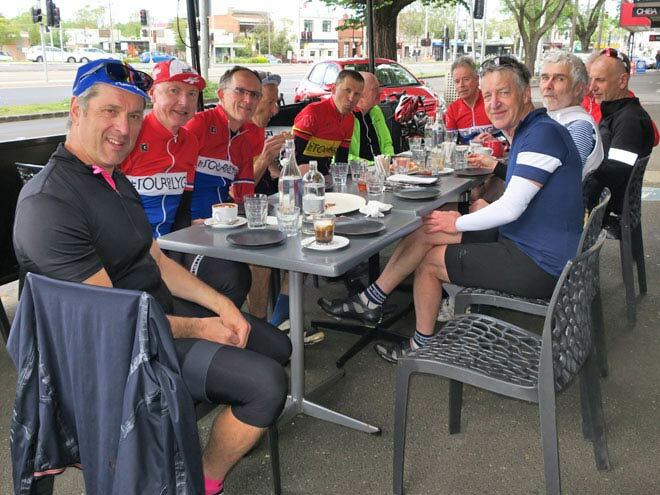 When Sandro joined they stopped at the Lygon Food Store near the University Cafe, then to another cafe which shut so they went in search where the quality and quantity of the rolls meet some members strict specifications, i.e. what condiments were used. Now they have settled on Heartattack and Vine next to Jimmy Watsons on Saturdays. 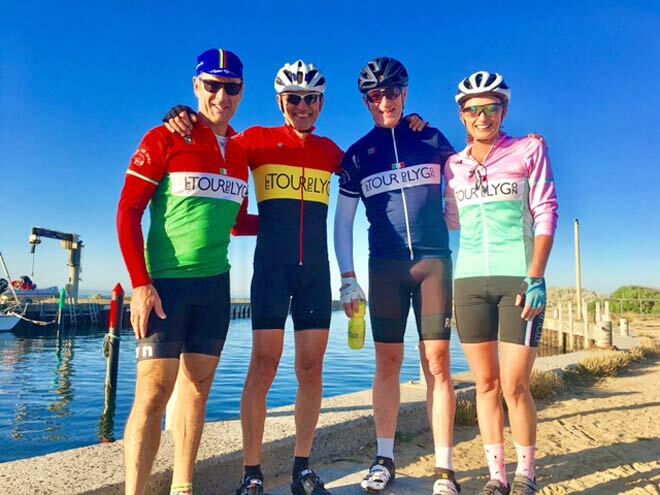 At the start everyone wore whatever they had, whether it was footy shorts and t-shirts - remember this was 15 years ago - but this evolved in creating their own branded cycling kit. 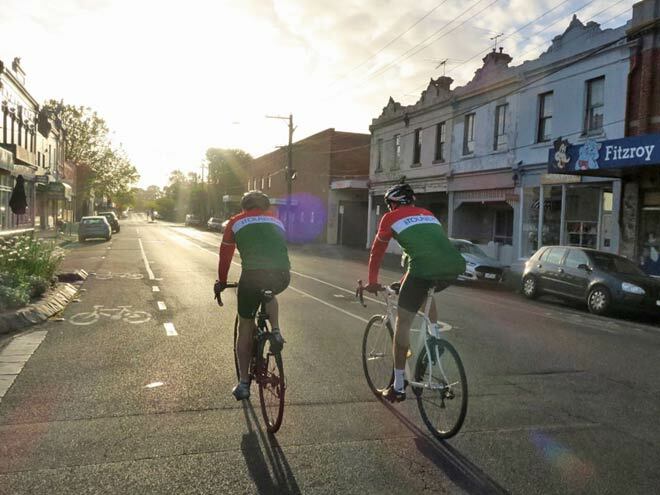 In Winter 2014 they started riding out and back through Kew Boulevard and the ever so popular he popular Beach Rd St Kilda to Mordialloc return. 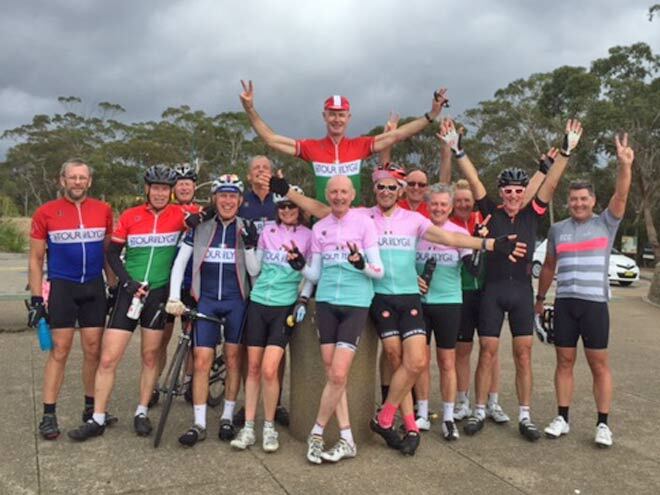 Then one day while enjoy lunch and a few too many reds at Steve’s house in Queenscliff, Steve proposed ‘we’re all enjoying this, we should have a goal’ so hatched their first Around The Bay in a Day (ATB) which involved riding to Sorrento to enjoy lunch before being driven back to Melbourne. 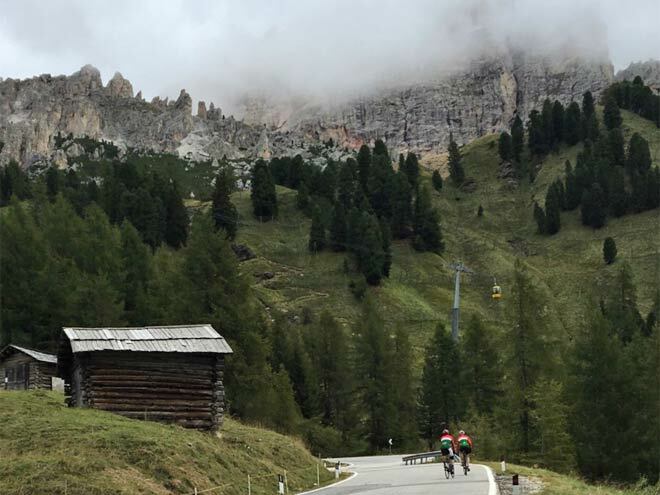 It's hard to believe with many riders qualifying for the UCI's World Masters Championships over the years that originally many couldn’t make it all the way around. 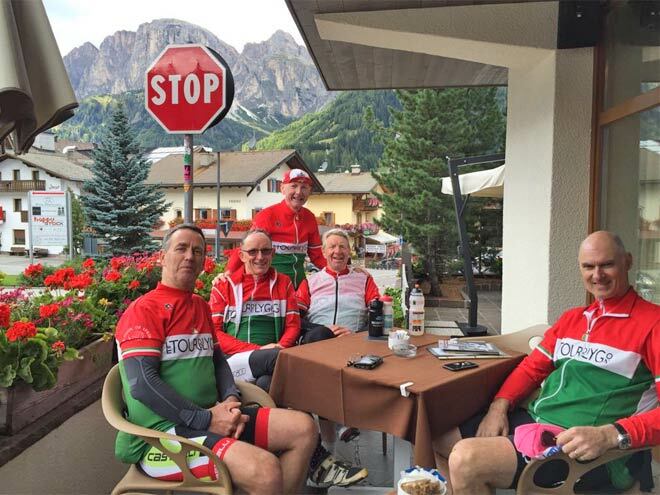 The following year in 2005 they organised their first trip to Europe using an organised guide Larry from Cycle Italia with TdL members enjoying a well organised, researched trip with amazing food; it was very successful. 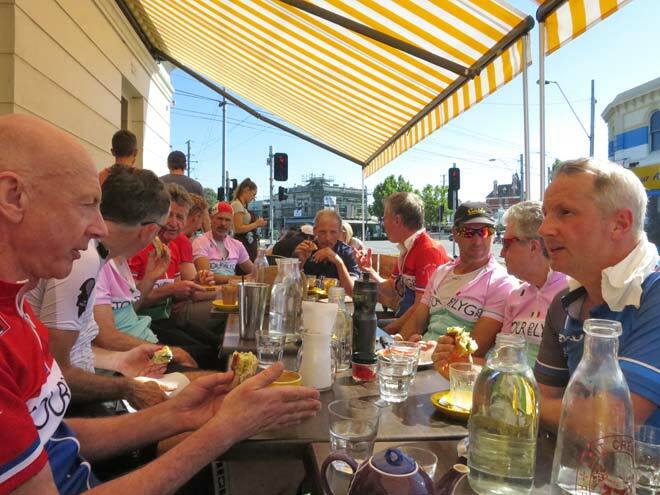 Larry was an interesting character himself and after having hosted the local Aussie team exalted about running another trip that he would love to but 'not too many Australians in one group'. Larry has since settled on a more manageable size group of 3 - 4. From their initial Italian stripes of Red, White and Green followed up with the French kit of Red, White and Blue and a couple of the guys went overseas with a friend of the group, Joerg who is German (put together the top) and inspired the national colours; a navy Blue kit to fit in with the Carlton theme (Footy), a pink version with a lighter shade of green through it. 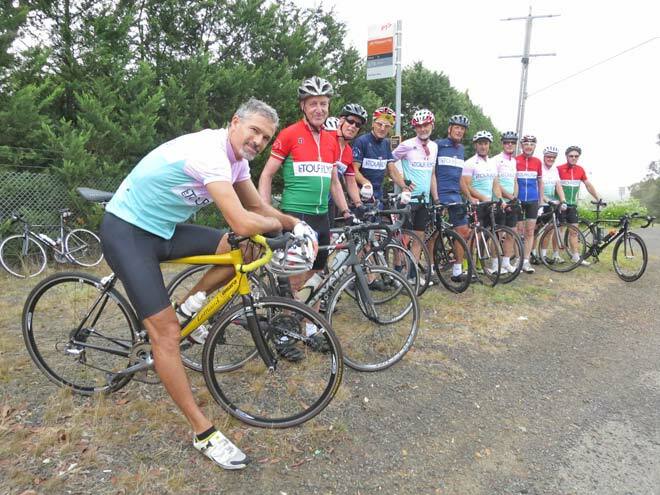 When East Link (Freeway) opened in 2008 they opened the road to a special cycling event that Tour de Lygon entered as a team for the Team Time trial event and Sandro can vividly remember Matt Keenan who was commentating referring to the bunch as TdL, we looked splendid in our colours. 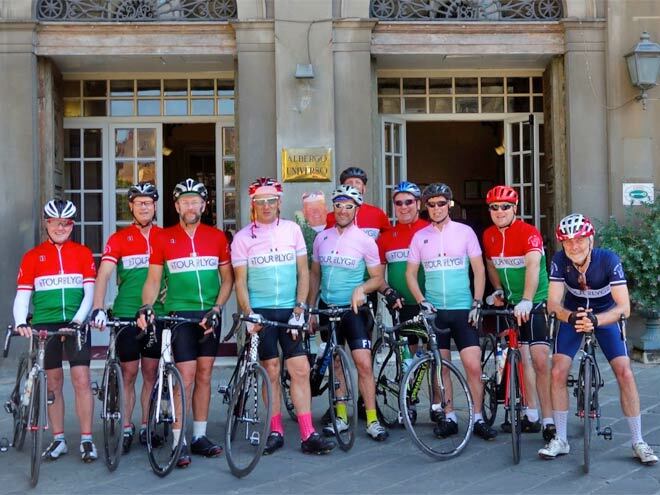 In 2015, they headed to Italy and followed the original routes and places they stayed with Larry and where they rode a decade earlier and was great fun. In honour of the man himself, they printed a life-size image of Larry's head that was featured in a few photo opportunities. 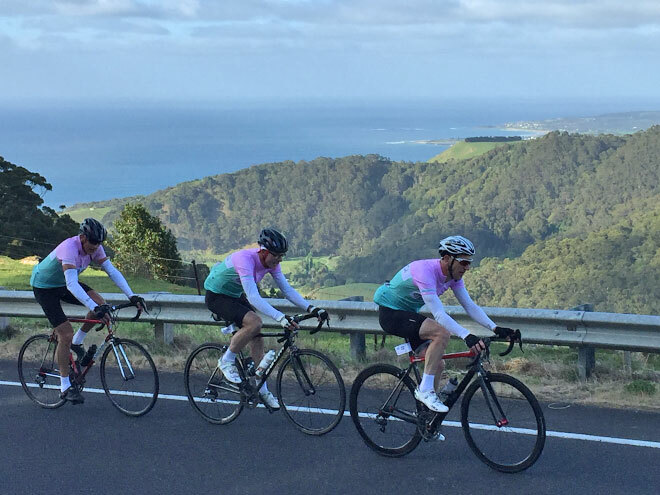 From it's inception, six riders are still riding today and occasionally some of the original members join them and are going strong. 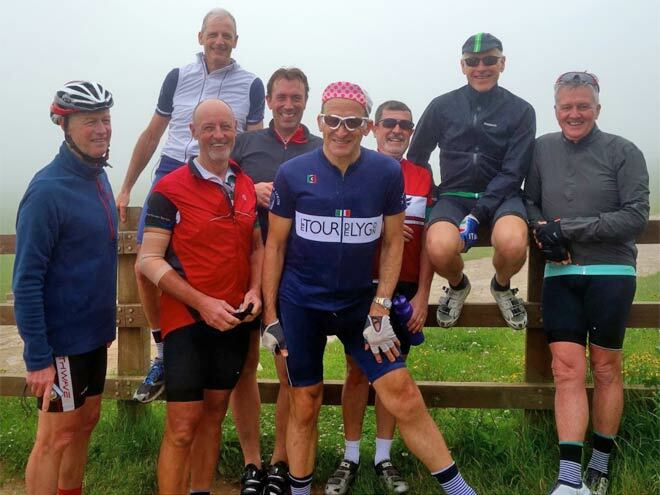 With a lot of enjoyment from riding with the group and enjoying the company of the other members they have taken to it in a big way; a great way to keep fit, socialise, have a bit of a catchup of what happened during the week, talking about our lives and what's going on. 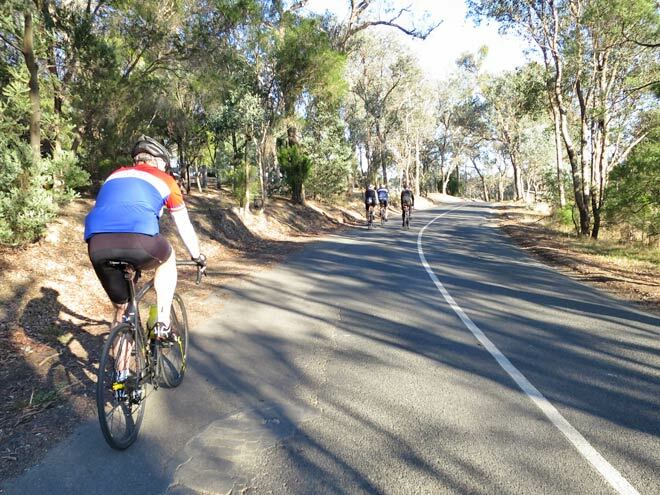 With many members retiring/semi retired/self employed they have more time to ride with the creation of a fluid ride calendar including the Kew Boulevard on Wednesdays and a few of the guys meet in the Basin and ride through Sassafras and do a variety of loops every Thursday. 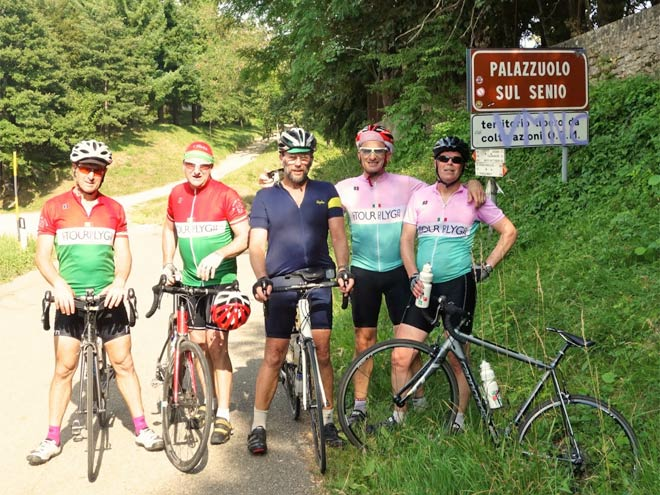 A lot of the members head overseas most years with a trip of some sorts, whether it's organised by themselves or an organised ride of their own La Fuga and Top Bike Tours. 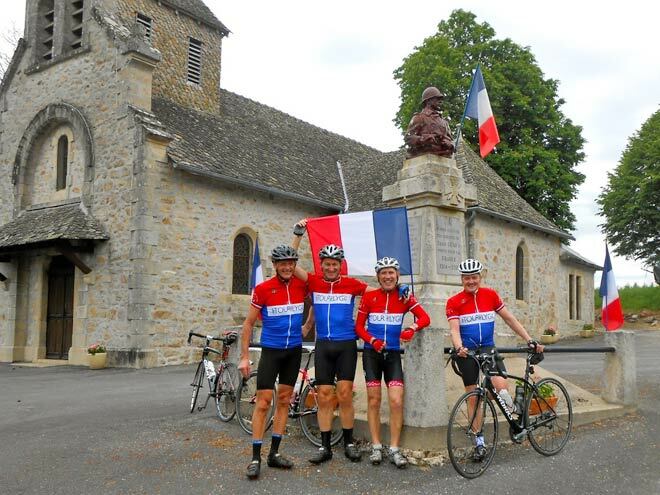 They catch up with other riders also overseas so there are always plenty of options to go overseas riding during the year. 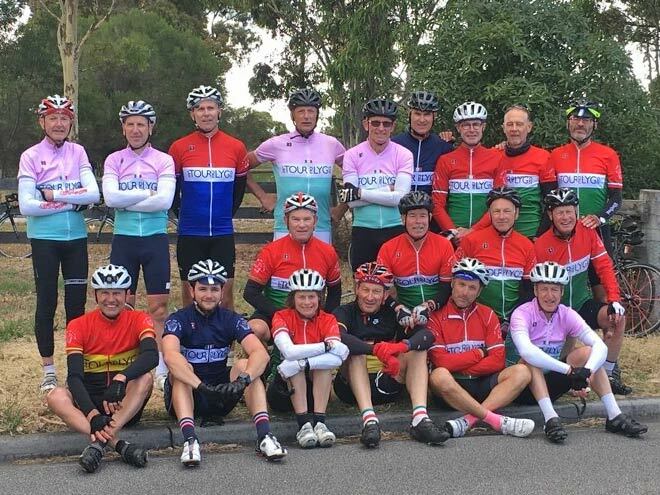 With another bunch the FIS - The Flemington Institute of Sport - also having members in the Carlton area, they often converge on their Sunday ride out to Warrandyte and even wear their kit and the TdL european trips so there are a lot of friendships between the two groups, so it's a nice association that they have. 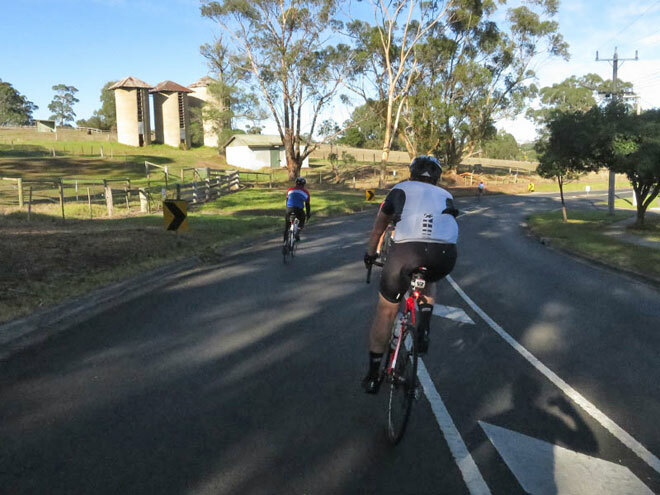 Even some of the earlier rides were based on the FIS's 'Handbag ride' that started going out to Doncaster before looping back to Ivanhoe, with additions and extensions to Warrandyte and Kangaroo Grounds. 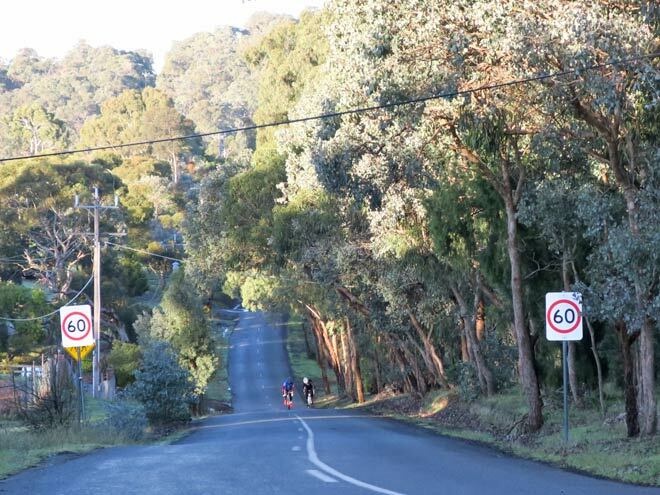 One of the first kit designers (drafted the kit design) showed Sandro some of the routes out the back of Warrandyte and they have since found some variations including the very popular but step Pigeon Back Rd over 10 years ago. The routes are only limited by your own imagination. You find a little back street there and find some other bits and pieces to create a new loop. People have added bits and pieces over the years. Another popular ride was out to Kinglike that involved tricky logistical options in driving out to various locations then riding on to Kinglike and back to their cars. We are amazed the number of people who ride out at that side of town as when we started hardly anyone rode there so we had the rides to ourselves but, other the years we have noticed a lot more groups coming the other way. 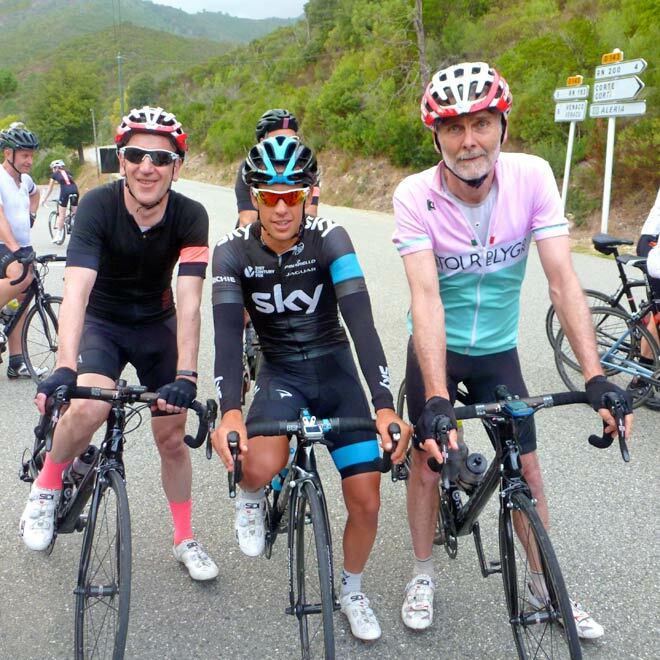 It's great to see the popularity of cycling over the years. 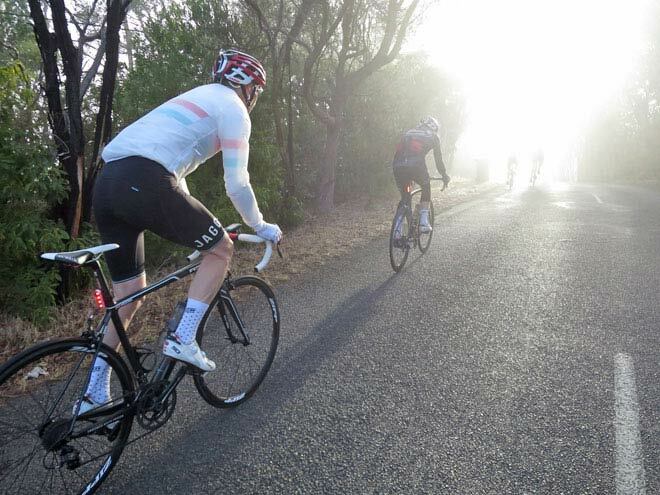 They are the little hidden treasure of Melbourne with those loops out in the eastern suburbs, the hills and the hard work that is involved in climbing, it's great. 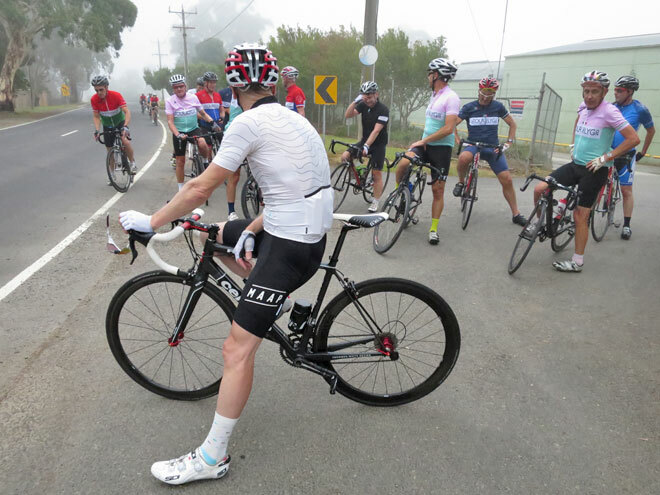 A couple of years ago, one of the riders Andy Lanskis, got tired of riding Beach Rd and thought it was getting dangerous, a bit congested, so he started doing his own loops on a Saturday and meeting up with some other friends. So, with Andy riding the same groups with the TdL the routes were named Andy's Folly. 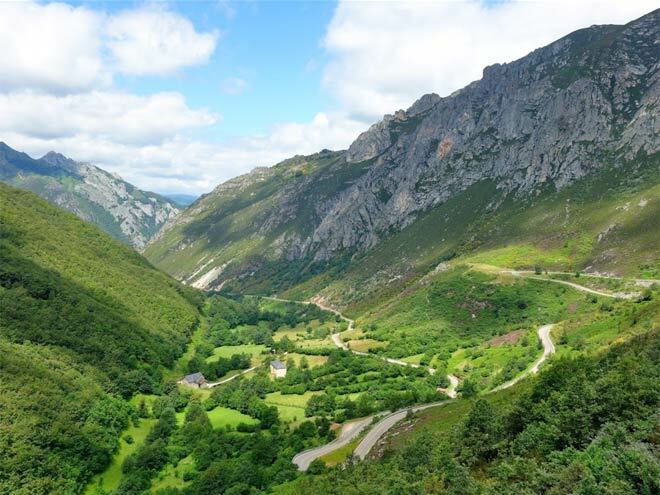 Since the original there are now over 15 variations of the original routes. The basis of friendships is having common interests; you spend time together whether it's on the weekends or a trip overseas. 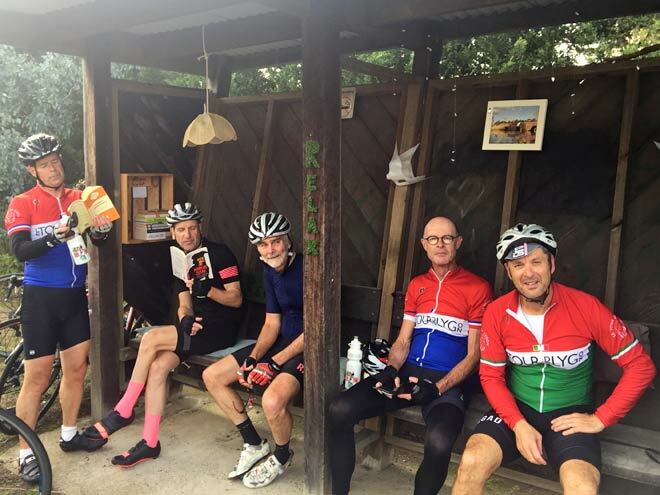 Steve put it eloquently as 'a self-selecting social group' in a good way where they do not actively recruit new members but those people who join are happy to spend time together. 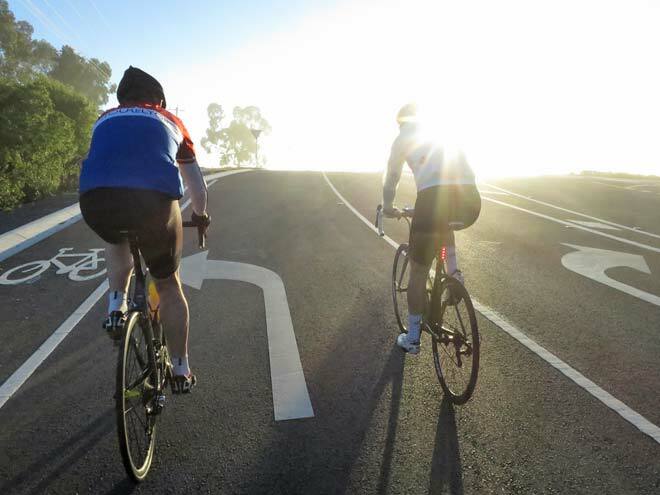 Whether it’s on the ride followed by the coffee shop or just coming directly for some coffee and a catchup. If you feel comfortable in the group you keep coming back. 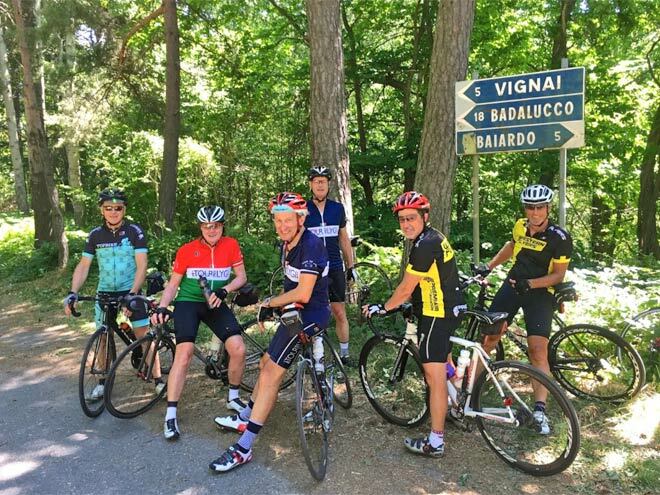 By sharing experiences, it builds the basis for being part of the group and continuing to join the weekly rides and adventures overseas. Even though all of the kids have grown up and have gone onto create their own lives, all of the dads still get together, which is terrific. One of the founding members Bob Dempster was involved in a horrific car accident while commuting to work that involved 7 hours of intensive surgery that given the nature of the injuries cannot spend long periods on the bike although he is affectingly known as “Special events man” for his commitment to supporting many local TdL events such as Around the Bay. 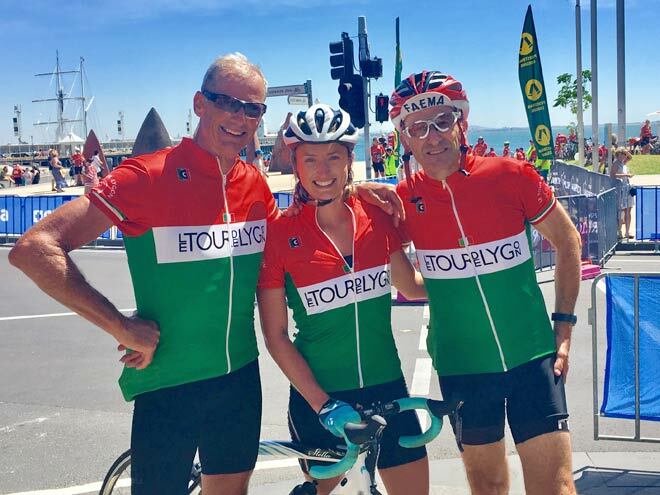 Grace, who is one of the daughters of Steve Hicks, who was one of the reasons why they originally got together is now riding with the group after returning back home after living in Europe for four years. Now 30 years old, Grace is ironically a primary school teacher herself.